The news isn't the only place where you can see North-South Korea relations—these K-dramas will both entertain and inform you! South Korea and North Korea may still technically be in a state of war, but that isn’t stopping anyone from making fantastic K-Dramas that deploy North Korean characters and settings. In our list of the 10 Best South Korean dramas that feature North Korea, you’ll see a rather eclectic mix of shows. Sure, most of these dramas have espionage or military themes, but they’re still K-Dramas… so many still have regular tropes like love triangles. Why watch these shows? Well, for one, they’re all really action-packed and entertaining. Beyond that: they’re also a good way to see what South Korean media thinks about North Korea. For example, contrary to many peoples’ expectations, North Koreans oftentimes are NOT the bad guys in these dramas. Well, enough said. If you want to learn more about Korean culture, gaining some knowledge about inter-Korean relations is a must… and what better way to do that than watching a K-drama from this list? Year: 2009| Starring: Lee Byung-hun, Kim Tae-hee, Jung Joon-ho, Kim Seung-woo, Kim So-yeon, Choi Seung-hyun, T.O.P. 2009’s Iris (아이리스) proved to the world that North Korea-focused K-dramas can be successful. The show gained massively high ratings and over 30% average market share while airing in Korea. Inspired by the 1999 movie Shiri (itself a pioneer for North Korea-focused K-movies), Iris stars Lee Byung-hun and Kim Tae-hee as South Korean secret agents who must thwart a secret organization named IRIS, which wants to stop Korean reunification. Along the way, they tangle with North Korean spies and a mysterious assassin played by T.O.P. of BigBang. Besides great fight scenes, Iris was unique for devoting lots of screen time to its North Korean characters’ perspectives. So… the first Iris was so successful that they decided to make a sequel, Iris II. While it didn’t surpass the original, Iris II was still pretty damn popular, gaining over 15% market share when it aired. The show follows a different set of South Korean secret agents alongside North Korean counterparts. One of Iris II‘s plot elements remains highly relevant today, though in a slightly unexpected way: the show touches upon how South Korea (yes, you read that right) once wanted to develop nuclear weapons. OK… did I mention that Iris was really successful? Like really successful? Because not only did it inspire a sequel, but it also spawned a highly popular spin-off named Athena: Goddess of War. Athena exists in the same story universe as Iris and Iris II. In fact, it’s the show that actually introduces that whole plotline about South Korean nuclear ambitions. One element that makes Athena interesting is how the main villain is American, not North Korean. Granted, Americans as villains in Korean dramas isn’t so uncommon (and I promise I’ll write an article one day explaining why), but Athena really makes Americans look bad. How’s that for a highly entertaining alternative perspective? Legend of the Patriots is also known as Comrades, because it’s a remake of a 1975 TV show with that name. 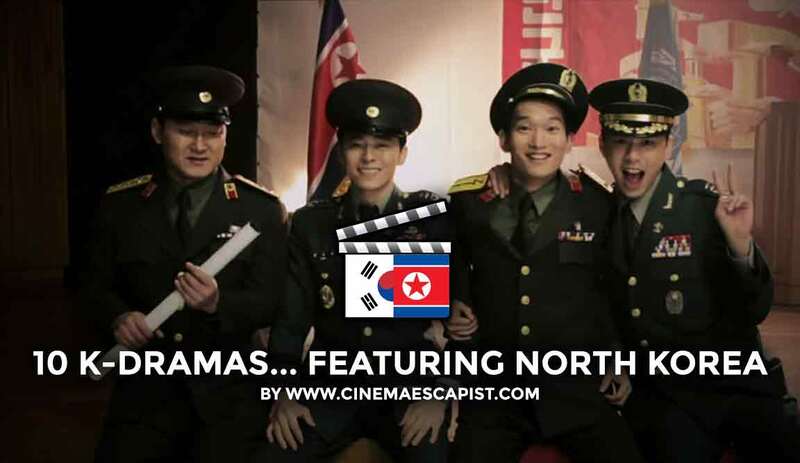 The drama’s 2010 release purposefully coincided with the Korean War’s 75th anniversary. As you may then expect: Legend of the Patriots tells the stories of 11 North and South Korean soldiers during the Korean War. There’s ample combat in this series, seen from both sides. If you enjoy movies like Taegukgi, you’ll probably like Legend of the Patriots. Now we move on to a more light-hearted K-Drama that features North Koreans. In Spy Myung Wol, actress Han Ye-seul plays a North Korean spy named Han Myung-wol. Sure, the thumbnail above might feature a sniper rifle, but this is actually a romantic comedy. North Korea assigns Han Myung-wol to kidnap a popular actor named Kang Woo (Eric Mun), but she falls in love with him instead. In an intriguing globalized happenstance, 2015’s Spy happens to be a heavily Korea-fied adaption of a popular Israeli espionage show called The Gordin Cell. When North Korean general Jang Song-thaek gets executed, a North Korean sleeper agent named Park Hye-rim (played by Bae Jong-ok) gets reactivated after spending decades in South Korea as a regular housewife. There’s a big problem with this though. Her son is now a South Korean intelligence analyst, which means she must choose between blood and fatherland. What if South Korea was a monarchy? And what if, in order to promote peace on the Korean peninsula, a South Korean crown prince married a North Korean lady (sorry, no princesses under Juche). That’s the premise of The King 2 Hearts, one of the most “guilty pleasure” dramas on this list. Lee Seung-gi stars opposite Ha Ji-won in this rather unique love story, which naturally has many undertones regarding inter-Korean relations. If you’re someone who likes romance K-Dramas, King 2 Hearts will be perfect for you. However, I’m not one of those people–but I still managed to enjoy the series because there was just so much interesting brain fodder regarding North/South Korea relations. If you didn’t know already, Descendants of the Sun is one of the most popular K-Dramas of all time. It reached a peak audience share of 38.8%, and captivated audiences all across Asia. While most of Descendants of the Sun doesn’t feature North Koreans, I’m still putting it on here because North Koreans show up at very critical plot points. In fact, the show’s very first scene features the two male leads (South Korean special ops soldiers played by Song Joong-ki and Jin Goo) fighting against North Korean soldiers. Anyways, I’ll leave it at that. Talking more about the North Koreans in this drama could let some pretty big spoilers spill out. 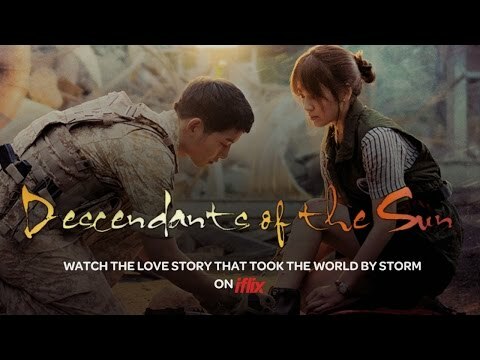 Note: Descendants of the Sun is currently available on Netflix. “North/South Korea relations” take multiple forms in this show. Hwang Jung-min plays a prominent South Korean scientist who’s in love with a North Korean scientist played by Kim Jung-eun. Together, the two scientists are part of a historic inter-Korean collaboration to mine methane hydrate gas off the coast of Korea. However, political turmoil threatens both their love and scientific work, motivating the two to get themselves (and their countries) back together by any means necessary. Note: Korean Peninsula is currently available on Netflix. Release date… 2018? Cast… TBD! Uh… wait.. where’s the trailer for this drama? Well, there isn’t one, because it’s not out yet. Remember me talking about how successful Iris was? Or maybe some other series earlier in this list that also named after a Greek deity? Well, apparently Iris-mania has STILL not faded almost a decade on, because KBS (the network which made Iris) is bankrolling yet another big-budget North-South Korea espionage-fest. Set to release sometime in 2018, Prometheus: War of Fire promises a plot centering around a South Korean Intelligence attempt to extract North Korean nuclear scientists from an unspecified foreign country. 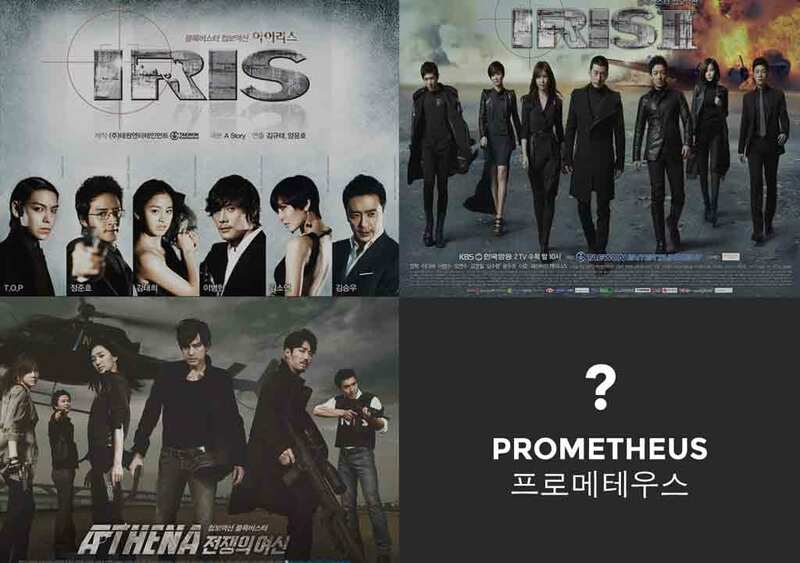 With a purported budget of $26.5 million USD and filming locations across five countries, Prometheus looks to be one of the most highly anticipated K-Dramas featuring North Koreans. Stay tuned as Cinema Escapist gets back to you with coverage on Prometheus: War of Fire whenever more information comes out!